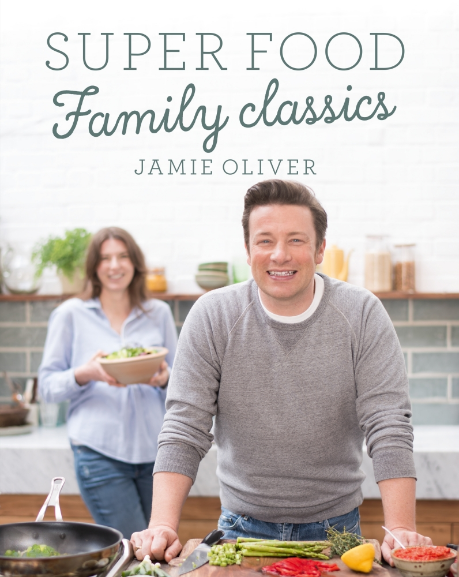 Jamie's Super Food Family Classics is the healthy-eating companion book to the new TV series of Jamie's Super Food. Illustrations exemplify what the end result is supposed to look like and list all relevant information in terms of nutrition and the individual components that need to be procured and go into it. The tone is jovial and down to earth, i.e. it caters to foodies as well as those having now concept as to what a meal outside the confines of fast-food would look like. In essence, fuss free recipes that are a bit more health conscious than your regular cookbooks, with Jamie using “family” to denote food that’s “cozy, comforting and made for sharing”. The book is comprised of a mélange of classic recipes as well as new and different dishes, with the focus being on meals that are all relatively easy to make, and the large majority of recipes contain food groups and flavour combinations that won’t challenge your palate too much. Quick fixes (e.g. Japanese miso stew, Sri Lankan prawn curry, Cheat’s pea soup, Crispy trout, oats & thyme, etc.). Curries and stews (Sag aloo korma, Veggie gurkha curry, African prawn curry, etc.). Pasta and risotto (Veggie Bolognese, Jools’ tuna pasta bake, Garlic mushroom pasta, Super greens cannelloni, Prawn & fennel risotto, Squash & ricotta ravioli, etc.). Soups (e.g. Alphabet tomato soup, Spinach, mushroom & risotto soup, Peruvian sweet potato soup, Super leek & potato soup, Navajo soup, etc.). Kitchen Hacks (e.g. Super-quick batch pesto, 7-Veg tomato sauce, Curry pastes, Fruit ice lollies, etc.). There is an additional section of the book called “Health and Happiness”, which contains Jamie’s advice on things such as ‘how to nutritionally balance your plate” and other non-chalant life tips such as ‘why fiber is cool’ and ‘the genius of chewing’. A book that will help to freshen up your staples and expand your recipe repertoire in a healthy way.